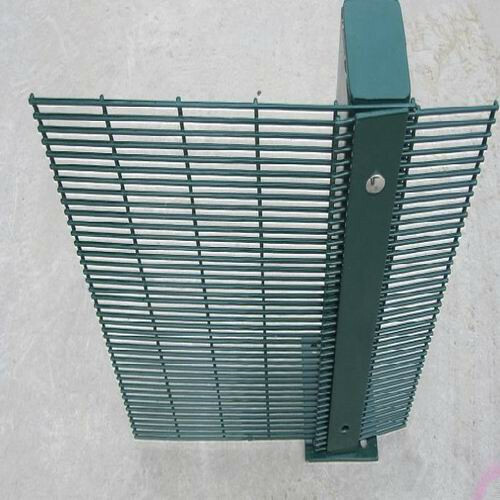 High Security Fence is also called 358 Fence/ prison fence/ anti cut anti climb fence which provided high standard security for the uses.Thanks to the mesh size, intruder can not climb it or easily cut it. What's more, profiled panel and panel with addtional Wire can make it more unbreakable and different Post options are available for you to choose. · 358 Fence Panels: Manufactured using 4mm wire welded at each intersection creating a strong and durable panel, the mesh aperture consists of a 76.2 x 12.7mm mesh spacing providing ultimate protection against climbing and cut-through with excellent see through visibility! Looking for ideal Anti Climb Anti-Cut Fence Manufacturer & supplier ? We have a wide selection at great prices to help you get creative. All the Prison Welded Wire Mesh Panels are quality guaranteed. We are China Origin Factory of Security Fence Panels. If you have any question, please feel free to contact us.